Bukhave: New in: Tartan and geeky! I have been really bad at shopping lately.. bad as in.. too much i think. Anyway! If you know me you will know that i really like tartan clothes and i use my red tartan skirt (from H&M) as often as possible. So when i was in Odense visiting some friends i found the skirt in blue/green and i just had to get it! *. * They didn't have it in my size though so i bought it in a size too big. 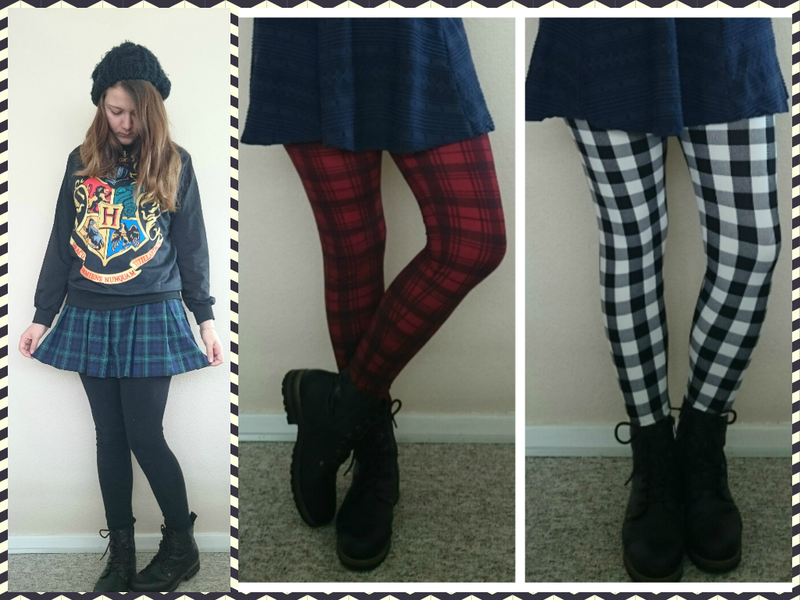 To stay with the tartan clothes i found these cool tartan leggings in Danish Factory Outlet! You get 3 for only 100DKK which is pretty cheap! They are very comfy and warm. You can get them on their website, but i guess the red ones are sold out. I am a EU size 38 and i got them in a S/M. I personally don't know if tartan is "in" right now but i love it!